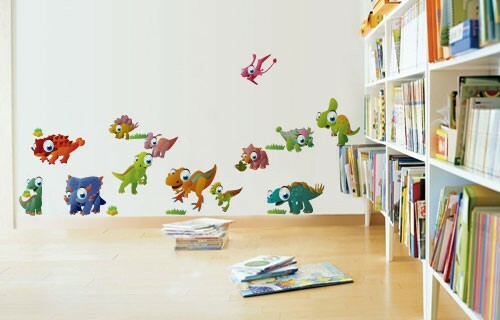 Let these little Dinotoons vinyl wall stickers roam around your kid’s bedroom. This is a fun and bright set of wall stickers that will work beautifully for your son or daughter’s room. All items come separately, so you can position the decals around your furniture and wall to suit your kid’s bedroom.